You may remember this map produced by Mapping London co-editor James in 2012. A version of this map appears in a journal article published by the BMJ this week. 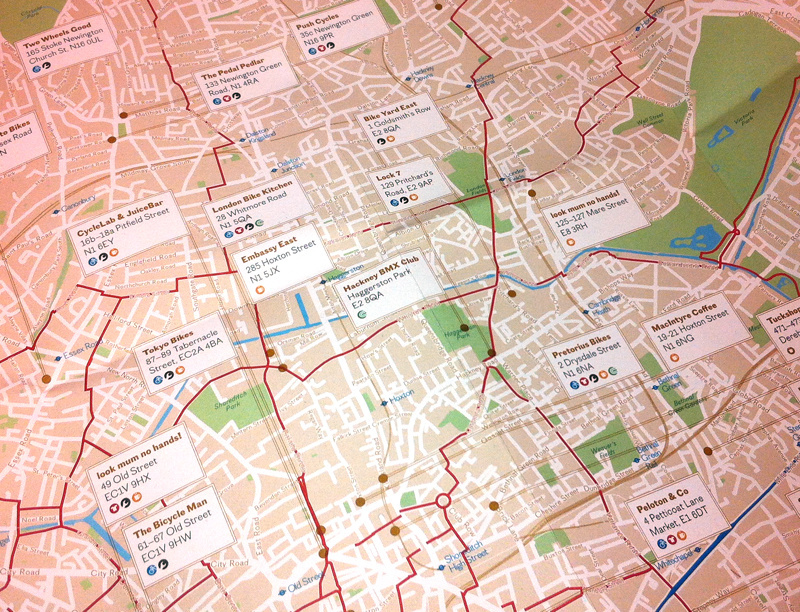 For the front cover of the journal issue, a crop of the top graphic was used, which is similar again to the two pollution maps, although only showing estimated volumes of bikeshare cyclists for 2012 (the latest journey data available), rather than combining the metric with pollution data. 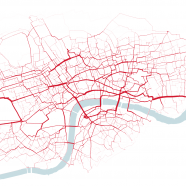 We hope that Transport for London will publish the 2013 and early 2014 data soon, as this will reveal hotspots of activity in the extended network which now reaches as far as Putney. You can see a larger version of the map here. For an interactive version of the graphic (using a slightly older dataset) I recommend looking at Dimi Sztanko’s excellent visualisation. 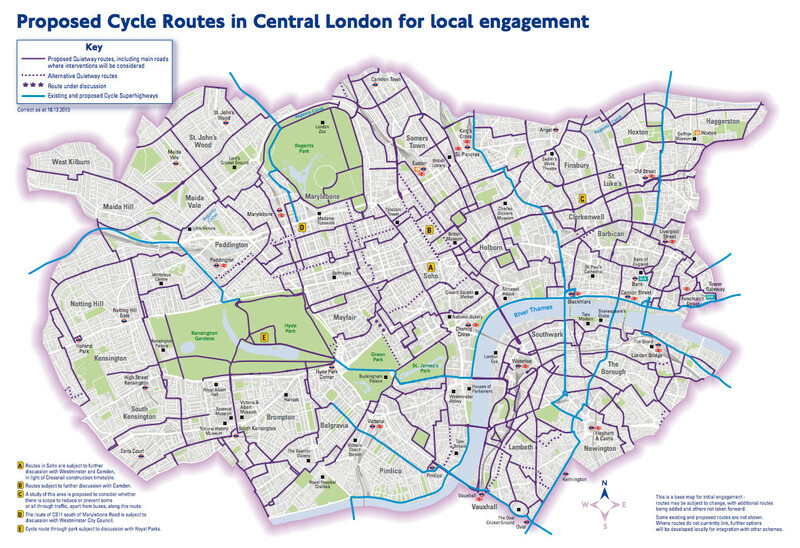 Transport for London are proposing a Central London Grid of branded cycling routes in the capital. The following map has been produced by them to illustrate the potential structure of the network. Some of the routes shown are speculative and subject to a consultation (which has just closed – sorry!) Obviously, where this map ties up with the predicted usages above, such a network should prove particularly popular. The full version of the map is here. The routes and quiet ways in central london look good. The superhighways to the embankment , across the river and up to kings cross will be ideal. Hope it gets the go ahead.